Blog Increasing Property & Resale Value	What can I grow in my Garden Window? What better way to bring fresh, organic herbs into your favorite dish than to grow them right in your kitchen on your garden window! You can’t beat the location. Rain or shine, you are just an arm’s length away to adding fresh, organic basil to that pot of tomato sauce. Snap off a few basil leaves from your basil plant growing on your garden window for added flavor to that pork tenderloin. Don’t have a green thumb you say? Here are some great tips to growing herbs on your affordable garden window. 1- About Face: Determine the amount of sunlight that comes into your garden window and what time of the day you get that sunlight. Choose herbs that do well with the amount of light you will get from your garden window. Basil, for instance, likes a lot of sun and warmth that comes from a south-facing garden window. Bay needs air circulation to remain healthy and likes an east or west-facing garden window. 2- Bring it In: Some herbs like chives can have a renewed growing cycle by digging up a clump for your outdoor garden come winter and replanting them in a pot until the leaves die back. After moving the pot inside to the basement or a cool location for a few days, put it in your garden window for a restart. 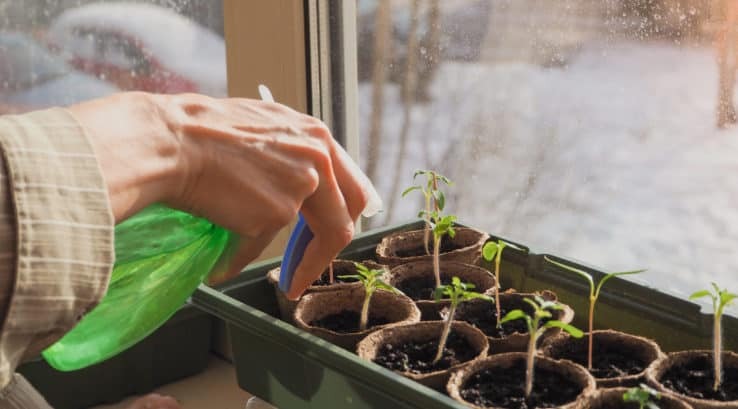 3- Start it Up: Get a jump on the growing season using your garden window. Starting seeds indoors saves you money, increases your garden’s output and gives you the best choice of what you want from this year’s crop. 4- Sniff it out: Use your garden window as an air freshener. Herbs like rosemary will give off a fresh pungent scent. 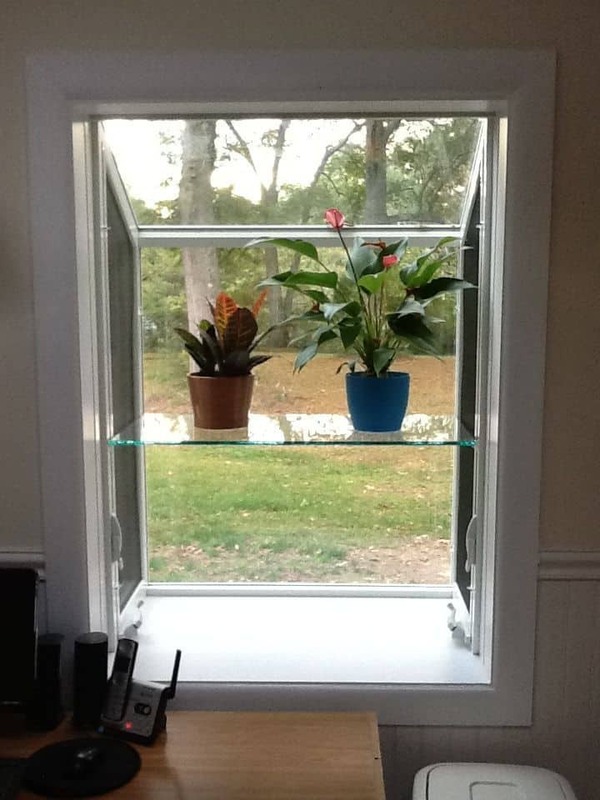 5- Clean it up: A garden window is the perfect location to display flowering plants that bring a little of the outdoors inside. Or, put your garden window to work with plants that have some muscle behind their roots, acting as air purifiers. Thompson Creek has expert garden window designers on staff to help you with a no-obligation consultation to determine if an affordable garden window is right for your home. The University of Maryland Extension has experts to help you with your growing questions. 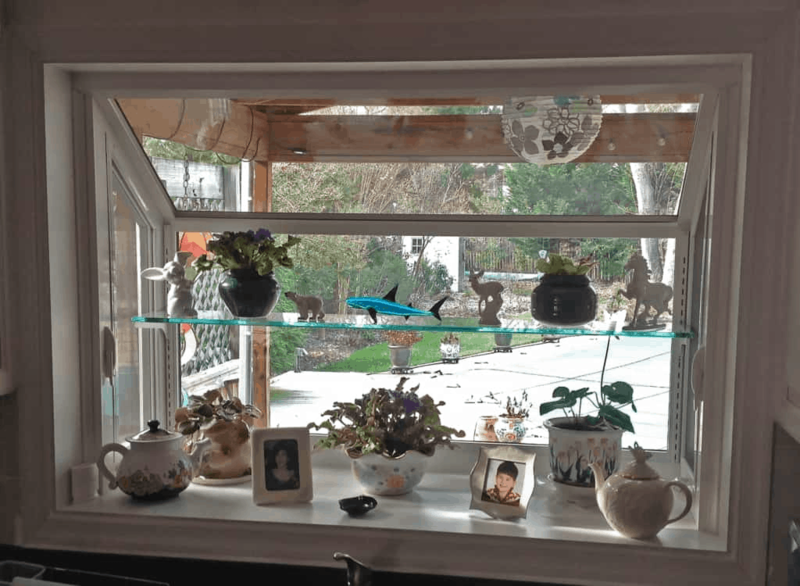 Thompson Creek’s vinyl garden windows add dimension and light to your kitchen They can be installed with or without a shelf to double your growing potential! Our garden windows come standard with two casements that side ventilate. They are built with Low E (low emissivity) double pane glass which reduces the amount of UV light that passes into your home. That means it won’t reduce the amount of visible light coming in and you won’t have to worry about it reducing the amount of light for your plants. 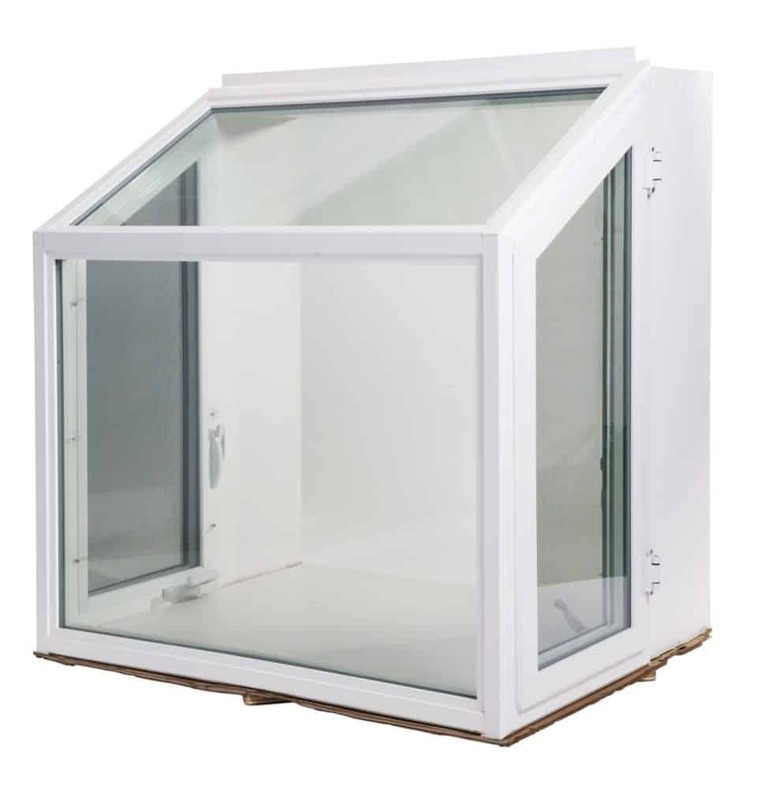 Because we design, manufacture and install we have a wide range of garden window sizes with a minimum width of 24 inches and a maximum width of 60 inches; and a minimum height of 32 inches and a maximum height of 60 inches. Whether you want to add more versatility to your kitchen, get a better view of your backyard or create the perfect space for your home-grown herbs and container plants- call us at Thompson Creek at 888-696-7105 for a no-obligation quote today.